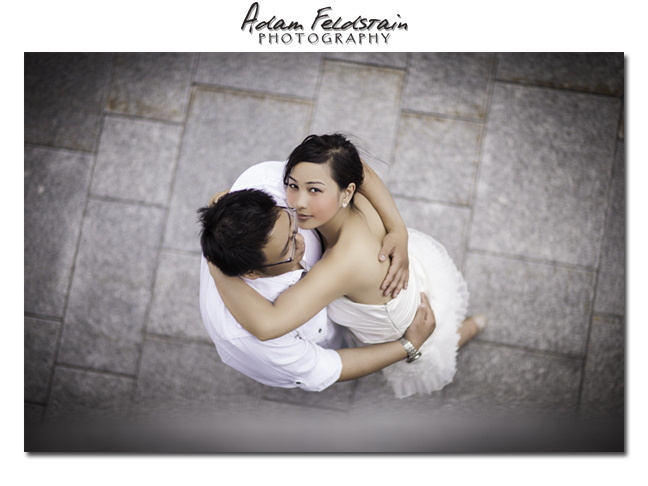 « Montreal Engagement Photography | 5 Reasons to do an engagement shoot. 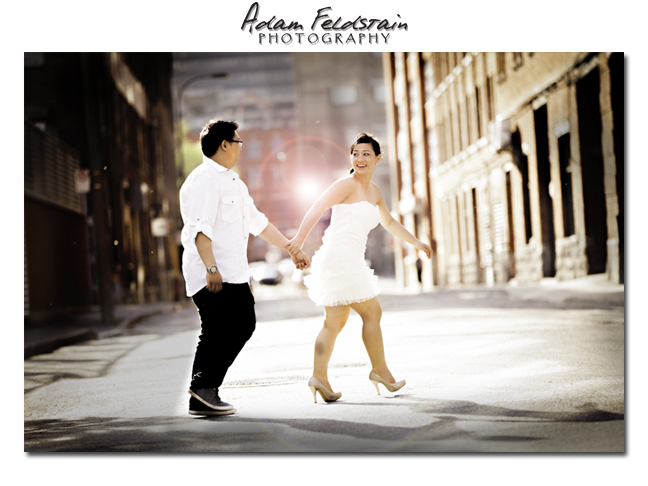 I had a great time with Freda & Brian on their engagement photo shoot. They are a wonderful couple who are outgoing and genuinely care for each other; and it shows! After signing with them we picked a date to do the engagement shoot and set it in stone. (well we penciled it into our agendas- er.. iPhones). Time came and went and the shoot day arrived. I woke up that morning ready for a beautiful day of engagement photo shooting in the sunshine however, unbeknownst to me (but knownst to everyone else) It was raining and would allegedly do so all day. And I am not talking about a light summer mist here people; I’m talking “quick! Board the doors and windows & build and ark” kinda rain. Freda called me in the morning and asked if they should postpone the shoot, I said no. 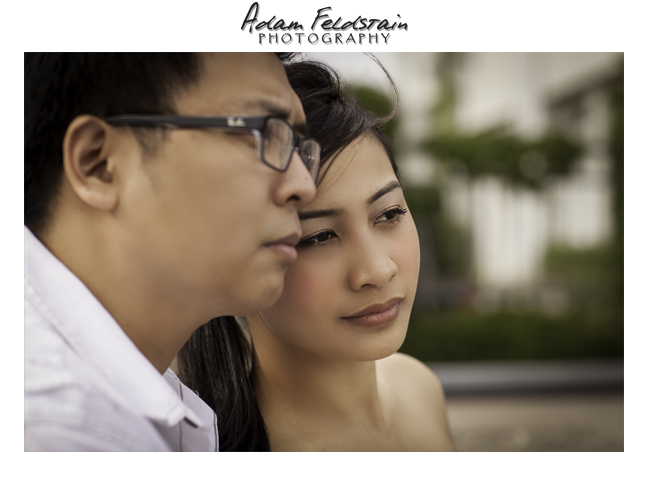 It’s their story and we should tell it they way it happens, rain or shine. I also said if it rains during the shoot I can photograph them from inside! (after all its their story not mine) They strongly disagreed with my suggestion. Non the less the shoot was on and I was prepared for all scenarios but I don’t think it could have happened any better. You see, it cleared up and the sun came out for the duration of the shoot. It didn’t take long for Freda & Brian to warm up to the camera. They didn’t need a lot of direction at all. I set the stage for the moment to happen and before long they were laughing, happy, reminiscing of the first date and being themselves. What more can you ask for! The wedding is this weekend and surprise surprise its raining. It’s been raining cats and dogs since Monday and it shows no sign of stopping till Sunday (the wedding day) where it is supposed to clear up for the day! Below are a couple of my favorites from the shoot. Feel free to leave your comments or share. 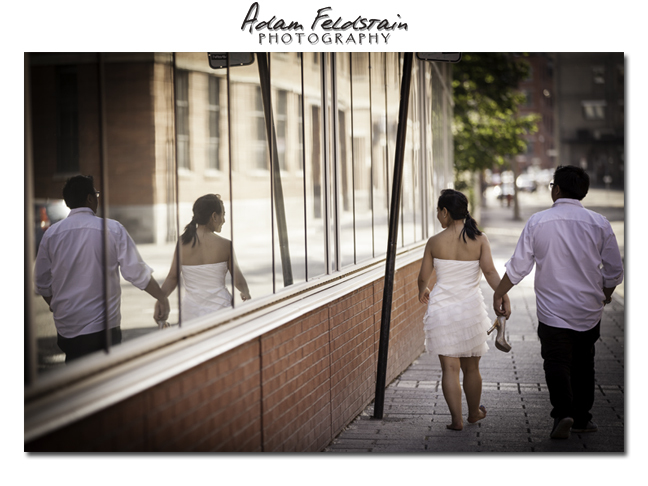 This entry was posted in Engagement Shoots and tagged 2013, Adam Feldstain, Engagement shoot, love, Montreal, old port, Photography, rain, story, wedding.